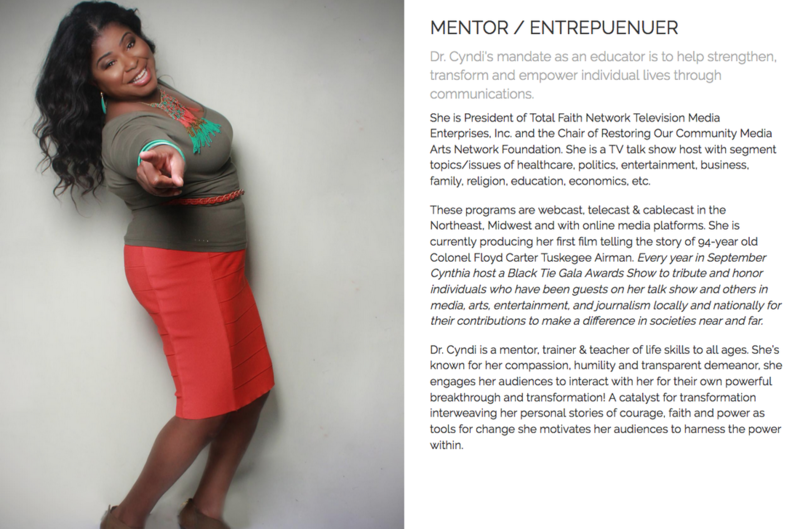 As Chairwoman of the Restoring Our Community Media Arts Network Foundation, Inc. and the President/Executive Producer for Total Faith Network Television Media Enterprises, Inc., I use my knowledge of media literacy and cable/broadcast network platform to produce positive television programs. This allows me to disarm and dispel the excessive negative portrayals and images warring against females in mainstream media, especially females of African descent. "Hidden Untold Stories: Women of Color"
the arts and visual storytelling. Your financial gift of any amount will help to move forward this new television series of women & girls of African descendant and to promote media literacy. No financial gift is too small or great, but will be used specifically for this endeavor. Thank you.